green mangoes | Badudets Everything Nice! While at the SM North Edsa Sky Garden, I noticed a long queue in one of the food carts, turned out that they are lining up for Mango-ong. 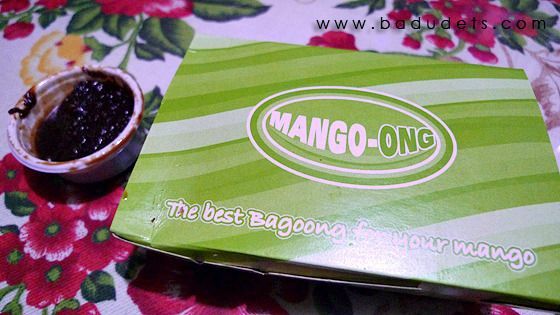 Mango-ong, a stall that sells green mangoes and singkamas with bagoong or shrimp paste. The lowly mangga’t bagoong often seen in carts in the streets leveled up into a foodcart in malls just like the ice scramble.